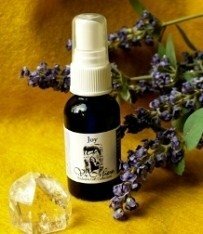 Custom - Your custom vibrational healing essence formulated for your animal specifically. Consultation provides thorough Get to Know session geared toward ongoing vibrational wellness with Vi Miere. We establish a baseline, get to the core layers, clear and balance, setting your animal up for continued healing at the cellular level and benefiting your animal's ongoing health and wellness. Healing Your Animal Essence Reading- You receive a personal 30 minute healing and essence reading for your animal. You are going deeper and clearing out issues or blocks no longer serving your animal that are preventing your animal from being and living his/her best. You receive 3 - 1oz essences that specifically target your animal's core issues for optimum healing. Aggression Ease - Tames the dragon. Appetite - Improves appetite during times of illness. Aids with changing diets, easing the transition. Compulsive Ease - Frees oneself by clearing the cobwebs. Joy - Assists in experiencing more joyfullness in one's life. Neediness Relief - Balances social interactions. Nurture - Cultivates compassion and nurtures the soul. It is like getting an emotional hug. This can be used when dealing with the loss of a loved one or if you're just having "one-of-those-days". Shoulder Release - Helps bring relief from "weight of the world" feeling on one's shoulders. Transition - Assists making changes with comfort and ease. Great to use when moving to new house, office, town/city, country, school, career, divorcing, recovering from illness or injury. Voice - Fills in missing tones assisting with "Speaking Your Truth"